10th St. and Constitution Ave. N.W. Winning may not be everything, but it can help protect the planet. 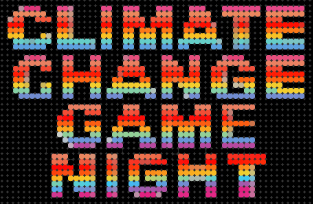 Bring your competitive spirit to the museum for the second Climate Change Game Night, this time focused on water. Along the way you’ll learn from experts as you explore Arctic ice-melt, conserve marine ecosystems, and test the waters of newly developed games. It’s serious fun. Guests are encouraged to bring their own climate or water-related games to add to the mix if they'd like to share. During this open-house program, each speaker will present a 10-minute talk. There will be up to 5 minutes for audience questions after each talk.